Custom, hand engraved Valentine cipher. When creating a hand engraved monogram for a client, Nancy Sharon Collins prefers starting from scratch. More literally, scratching with a graphite pencil on tracing paper. Did you know that most letter combinations we refer to as monograms are actually ciphers; both examples on this page are ciphers. Here are the definitions, courtesy of The Complete Engraver. Monogram: A design made with interlocking initials in which the structure of each is dependent on a main piece of each of the other letters. 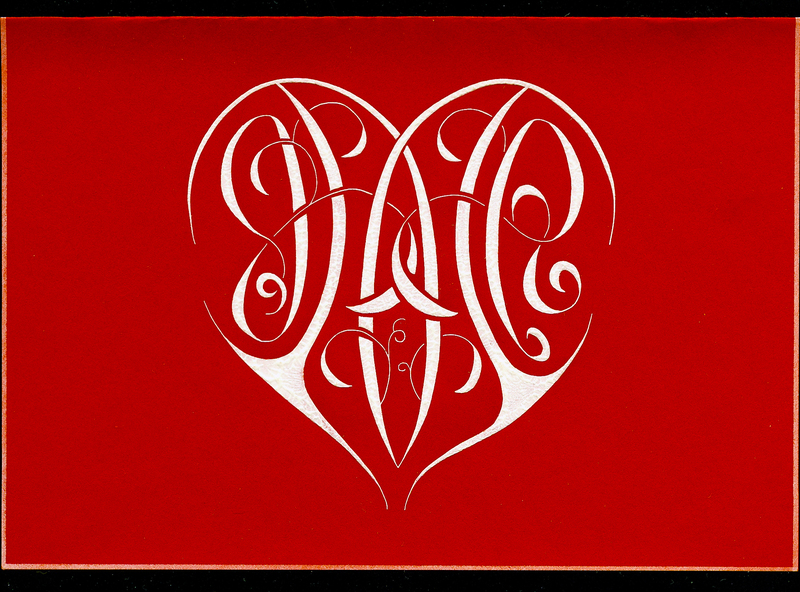 If the individual letters in a monogram were separated, they would not be readable as the letters they represent when intertwined. Cipher: An arrangement of initials. Unlike a true monogram, the individual letters do not have to connect or even touch. Many so-called monograms today are actually ciphers.